Kate and Tully meet as teenagers in 1974. They’re as different as chalk and cheese, but a firm friendship develops that spans a turbulent 30 years. Tully is a beautiful, carefree and reckless and risks everything to pursue a career in television. Constantly living with the fear of abandonment, she tries again and again to help her train-wreck mother. Kate is trying to fulfill a need to belong and live up to her mother’s expectations. All she wants is to fall in love, have someone love her back as intensely as she does and be a good wife and mother. She is the sensible one and is easily led by what Tully wants for her. This is a heartwarming story that pulled me in and definitely had me flicking the pages quickly as the plot unfolded and the inevitable conflict occurred. The by-line “A lifetime of friendship; a moment of betrayal” wasn’t the betrayal I thought it would be. As the story progressed through to its conclusion, it didn’t have the ending I was expecting. Kate and Tully stick by each other through thick and thin their paths separating and merging with events that at any stage could tear them apart. Neither of them believe they’re quite good enough for their calling – Tully too ambitious, Kate too forgiving. The theme was very much be careful what you wish for as it might not be how you envisaged it. I loved Hannah’s scene-setting as the story moves through the 70s, 80s and 90s. She does a great job at describing clothes, magazines, TV programmes, movies etc and the social scene of those eras. It was a little incomplete (there seemed to be little or no repercussions from Johnny’s near-death experience), unrealistic (what mother and daughter would go on a live TV chat show to try and reconnect?) and why would a worn-out mother not employ a housekeeper or nanny to help when she clearly could afford it? Tully-Kate-Marah fractious relationship went on for a bit long. This is the second Kristen Hannah book I’ve read (the first was Homefront), which was a great read but a tearjerker. I like her ability to make scenes come alive, her characters believable and real and the creation of touchstones and memories throughout the story. 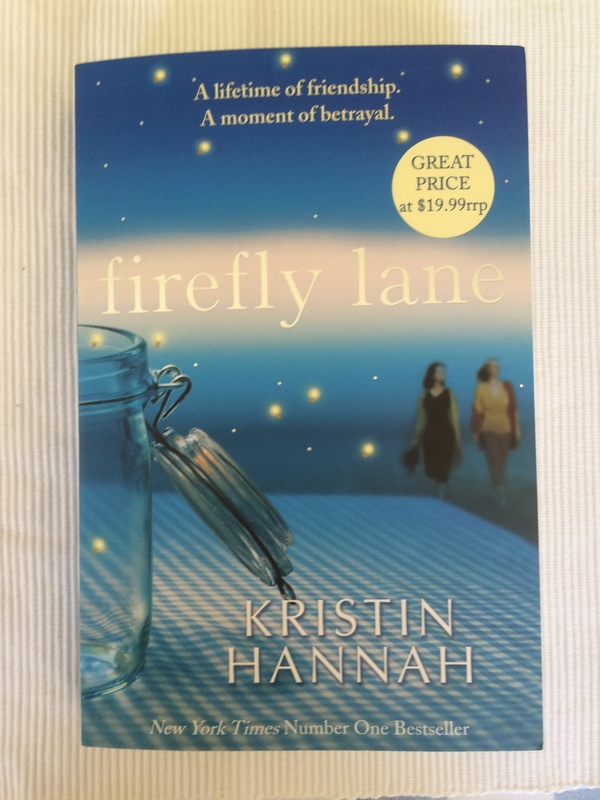 I discovered Firefly Lane has a sequel – Fly Away Home. I look forward to reading this given the unexpected end to Firefly Lane.